Amazon’s Alexa may still be the “it girl” of smart speakers, but there’s evidence that says Amazon’s Echo brand is being pressured by Google Home and its efficient but nameless Assistant. New international data from Strategic Analytics marks some loss of affection for Ms. Alexa, reporting that Amazon’s global share of smart speaker shipments fell to 41% in Q2 2018 from 44% in Q1 and 76% in Q2 2017. Those were the days, when Amazon’s Echo had a huge share of the smart speaker market almost to itself. But Google has increased its share to 28% in Q2 of this year, Strategic Analytics reports, all the way up from 16% last year. And unit shipments increased from 600,000 units in 2017’s second quarter to 3.2 million this year. Still, while Amazon and Google may be duking it out at the top, names unfamiliar to most Americans may really be carving up the market. Google is on the case: It signed a $500 million strategic partnership with JD.com, a Chinese ecommerce giant, in an effort to get a firmer foothold in that huge market. In the global ranking of top smart speaker sales in Q2,after Amazon and Google comes Alibaba, Apple and JD.com. Two out of three of those brands were barely in the picture a little while ago. In the United Kingdom and some other Commonwealth nations, a “banker’s holiday” is a real thing. One occurs Monday when Amazon is deeply discounting Echo speakers across the ocean. But Google has a better footprint in most places around the world than Amazon, which is a relatively newer player. One other advantage Google might have in the U.S. and beyond is that it’s not Amazon. 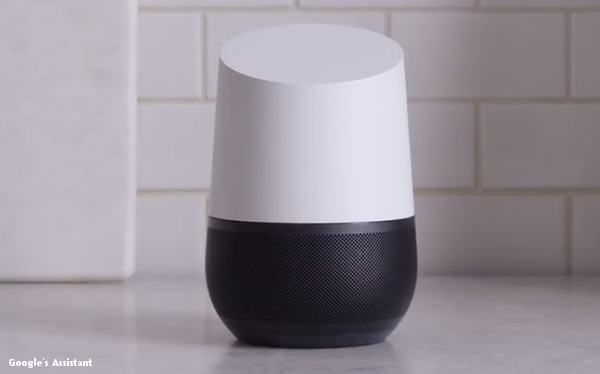 In an article in Salon, an analyst for research firm Canalys notes that some brick-and-mortar stores may be more inclined to push Google Home devices than Amazon’s Echo because Google is not (overtly at least) trying to put them out of business.